Dr. Arshad Ali (Director SEECS) opened the session by describing the research achievements by the NUST faculty and students. 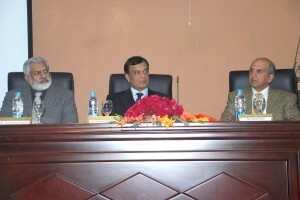 He also talked about the patenting activities undertaken by NUST. Ms. Owais focused on the different aspects of IP licensing. Mr. Rizvi talked about the success stories resulting from the three years of BAP activities and the establishment of angel network. The result of mentoring of BAP winners by MIT Enterprise Forum and OPEN has resulted in spectacular increases in sales as well as valuations. My talk focused on describing OPEN’s history, goals, structure and activities. I also shared my observations about Pakistani technology landscape based on running an operation in Pakistan for five years, and offered suggestions about how to effectively channel research and IP development. Secretary of IT, Mr. Nagibullah Malik, spoke about the government’s efforts to make IT as successful as the telecom sector. 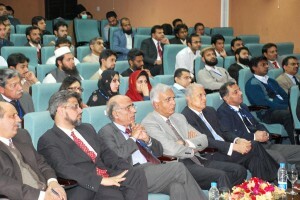 The seminar was attended by NUST faculty, students and business members who interacted with the speakers in the Q&A panel. There are over a dozen research groups in the SEECS department alone. I was impressed by the works of Dr. Syed Ali Khayam in Network Security, Dr. Hafiz Farooq Ahmad in Semantics applied to Health solutions and Dr. Rehan Hafiz in Image Processing. Dr. Qasim Sheikh educated me about the availability of considerable research money available through ICT R&D fund. This money is contributed through the profit of telecom operators and is available for any research area. I had graduated from College of Aeronautical Engineering which is now part of NUST. The graduating class size of G courses was just twenty or so then. Despite this I was pleasantly surprised to see its graduates leading both in industry and academia. CAE was funded by US tax payer and modeled after US AFIT. 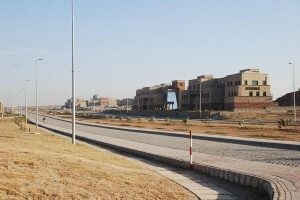 If such a small college can make such an impact, NUST is destined to make a major impact on the technical future of Pakistan. Pakistan is indeed a hidden treasure of islands of excellence which need linking not only among themselves but internationally as well. In my opinion expat can draw great benefit as well as contribute to Pakistan by exploiting the strength of the world class research centers. 1) a patent system that is harmonized with WIPO and is committed to IP and customs enforcement. 2) the equivalent of the Bayh-Dole act (the single most visionary piece of legislation in modern America for the commercialization of technology) in Pakistan. The B-D act transfers the ownership of government funded technology to the universities, who are empowered to file patents, license technology, and partner with industry. 3) the government must allocate federal dollars to research, development, and commercialization within the civilian government (like the equivalent of the NIH) and for extramural projects with Universities. Otherwise, the rest of the world will simply pass it by and Pakistan will be left with nothing but superstitious mullahs exhorting the evils of the rest of the world, and the necessity to return to true Islam exemplified by their bomb blasts, assassinations, and their search and evaluation of blasphemers- oh wait, that already is happening. Your suggestions have tremendous merit as my company is a living example of these legislations.